Categories: All, Cap Screws [2.99...], Fastening Elements [2.x...], Modular Assembly Systems. 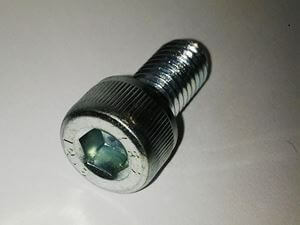 This product is a cap screw, used for fastening purposes. They are often used to fasten connecting elements to aluminum profiles. 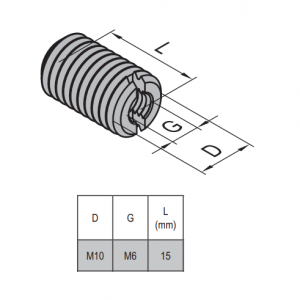 These screws are also commonly included in fastening sets provided with other products. However, it’s important to note that they can also be bought separately. They are most commonly bought and sold in bulk, due to how inexpensive they are. Finally, they hold everything else in your structure together and is absolutely invaluable. 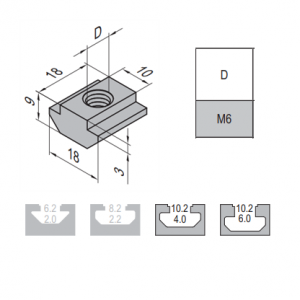 In conclusion, if you want to get your hands on some connecting elements that these screws are often used with, have a look at these.